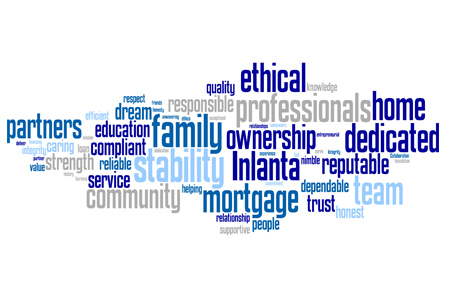 How are we different from our mortgage competitors? Who are our customers? What motivates us to provide this service? These are a few questions we have asked ourselves in an effort to bring focus to our growing organization in the form of a mission statement. We realize one thing great companies have in common is they live and breathe their mission statement. We are pleased to present Inlanta’s mission statement – a heartfelt expression of who we are, who we aim to be, why we do what we do and how we hope to be known.